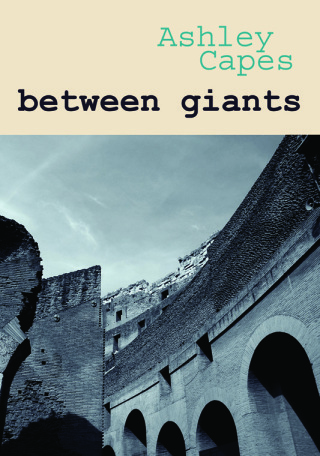 Between April 15 and 19, good friend and fine poet Ashley Capes launched his book between giants via his blog, with five days of guest readings and a handful of videos. I was honoured to read one of Ashley’s poems ‘man about town‘ to kick off the blog launch. Here’s a link to my reading of ‘man about town‘ and while you are there, be sure to check out the readings by Robbie Coburn, Jane Williams, Mark William Jackson and Ashley himself. And if you like what you hear, why not grab a copy of between giants. I have also been chatting to the organisers of Brisbane’s regular poetry gigs as part of a series called Live and Local. These are the people who work tirelessly behind the scenes to keep Brisbane’s poetry community vibrant. You can read the first two interviews I have done with Tony Mutton organiser of Poetry Open Words and The Reverend Hellfire organiser of The Kurilpa Poets on the QLD Poetry Festival website. With eighteen poems shared, Between Thistles is almost at an end… one selection remains, and again, I have been deliberating between a handful of the poems, reading each as the ageku to see how the image not only breaks new ground but allows us to briefly circle back to Ashley’s hokku, the evocative title poem, ‘between thistles’. But before I go into detail about the 5 poems that have been sharing the place of the ageku, I want to thank everyone who has read and participated in our New Junicho. It has been one of the most exciting writing projects that I have taken part in. The energy and creativity that you have brought to the composition of this poem has been (in the most positive way) overwhelming. It has been a highlight of my day to check in with your responses and to watch this poem take shape. I will miss it, but there is still room for exploration… To everyone who participated, check your inboxes as I will be emailing you with an invitation to curate your own version of Between Thistles from the links submitted. I think it will be exciting to go back through each of the call outs and see where you may have taken the poem and to consider the many paths a poem like this can take. Now, to the four poems that I have been considering for the ageku. The poems are, Lee-Anne’s ‘in the fading light’, Trish’s ‘songs-many-tongued’, Chloe’s ‘wind slips a tune’, Chris’s ‘in rifle sight’, and Andy’s ‘beneath bare feet’. Each of these poems leap daringly from John’s ‘Battle of Brighton’ and link us back to”between thistles’ and in doing so shift the feeling of the hokku; allowing us to read the poem with new insight. Lee-Anne’s ‘in fading light’ gives closure to the battle we have left behind and in reading on, welcomes us to take a deeper look between the thistles where the Egyptian crane steps; the closing line ‘we study all that is’ singing with a deep sense of wabi. Trish’s ‘songs-many-tongued’ offers such warmth; the idea that a diversity of voices singing in harmony can mend the sun enchanted me on first reading. Chloe’s ‘wind slips a tune’ has a wonderful sense of lightness; the song beneath her feet adding music to each step of the crane. Chris’s ‘in rifle sight’ refocuses the menace of the battle and leaves us eye to eye with an enemy. In reading on, the force of the word ‘enemy’ shifts the tone of the hokku, giving the crane a darker edge and bringing into focus another being between the thistles, hunted by the crane. Andy’s ‘beneath bare feet’ gives the senses a real slap, as it is not only the feel of the mud that hits us here, it is the smell, the sound and the visual of the feet disappearing. This, like Chloe’s poem, connects us to the crane as it steps between thistles. Each of these poems make a wonderful addition to the Junicho, but it is time to make a choice… to close, I have selected the poem that creates the greatest shift in the tone of the hokku; ‘in rifle sight’ by Chris Lynch. But as I said before… let’s not view this as an ending. I look forward to posting multiple versions of this New Junicho over the coming days. I would love for you to share this poem widely, as it is the keeper of many riches. is that a pallet knife? * shasei – sketched from life – lived experience, observational, uncontrived. * gendai – modernist – atypical structure, tone or content. The call for music went out and four poets came to play! The offerings from Chris, John, Andy and Chloe continue the energy of previous links and approach the concept of music from some wildly different viewpoints. Chris looks out from the moshpit as the collision of bodies sends sparks flying skyward; John’s three poems move from the apocalyptic movement of ‘valkyrie ride’ (with a surge of Wagner) to the battle of Brighton Beach and the balls-out soundtrack of Daltrey, Townshend, Entwistle and Moon; Andy takes us to the crossroads where the finger-picked blues of Robert Johnson ‘herald the beast’; and Chloe takes us on a discordant musical odyssey where we clap along with Freddie Mercury, break with the beautiful force of Elgar and wake to Beethoven’s cannon. Such a diverse musical trip! One that has enriched my Sunday afternoon and taken our Junicho on one last turn before we reach our destination. So where did I leap to? I couldn’t resist the Battle of Brighton Beach, as it’s quite possibly the most playful take on a battle I have ever encountered. This selection welcomes John back into the poem and opens the call for the ageku, link #12. For the ageku, we are looking for 2 lines of natural imagery / lived experience that continues the movement of the poem and in some way connects us back with the opening image. I plan to leave this link open for submission until 6pm Tuesday April 30 to give everyone ample time to pen their final offerings. This poem has provided such a wonderful sense of community, so I hope that you all come out to play one last time. It was a thrill to see the energy of the gendai phase continue; the verse on offer for link #10 vary from the wonderfully satirical, ‘Mad Katter’s tea party’ (John) and ‘budgie’s snuggle’ (Trish), through the razor sharp political commentary of ‘a new man rises’ (Phillip), the deep resonance of ‘soldier biscuits for sale’ (Chris) and the natural beauty of ‘election promises’ (Vuong). I will, however, make one edit to the poem, and that is the removal of the brackets around the second line. It is my belief that the poem works more powerfully without them. So with link #10 decided, link #11 is now open. Link #11 completes the six cultural links by calling for 3 lines with a music reference. After witnessing the uninhibited energy of Black Sabbath last night, I am eager to hear how each of you will make your words sing. Again, I have been swept away by the playful energy of the poems on offer for link #9. I have been checking in regularly and this gendai section has given me a genuine rush. Many of these poems have seeded themselves in my brain, keeping me company and filling my head with their wildness. Several, will remain there for a long time… such is their resonance. These poems include, Trish’s ‘she misses his cheek’, Cindy’s ‘waking up’, Chris’s ‘fever sweats’ and John’s uproarious, ‘number nine’. So which one has made the leap into Between Thistles… for link #9 I have decided to wake up with winter and in doing so, welcome Cindy into the Junicho. This means, we are now calling for link #10 – 2 lines with a political theme. I’ve got a feeling this one is going to keep the freewheeling energy of the last two links! Last tickets can be purchased for tomorrow night’s launch here. 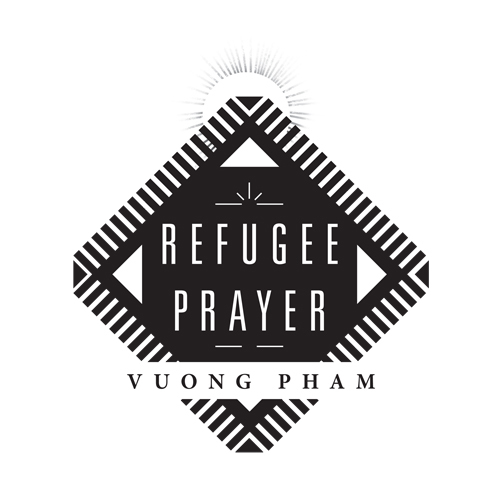 one unbound by war and exodus. a question suspended in mid-air. too heavy to meet the sky. Gardening is the reply I expect. lock together, my past made whole. with a certificate of improved literacy. as the soft daylight illuminates us. about mother’s youth, before the bloodshed in Saigon. was the city she will no longer call home. to the labours of factories. with nothing but me, growing inside. With the launch of Brisbane New Voices IV only two days away (Tuesday April 23), the excitement is building like a storm. Once again, if you are anywhere near this fine city of Brisbane, I hope that you are able to join us on the Riverbend Books deck as we welcome this collection into the world. Tickets are selling fast, but there are still some available here. As part of the ‘build up’, I want to share a ‘first taste’ from both poet’s collections. 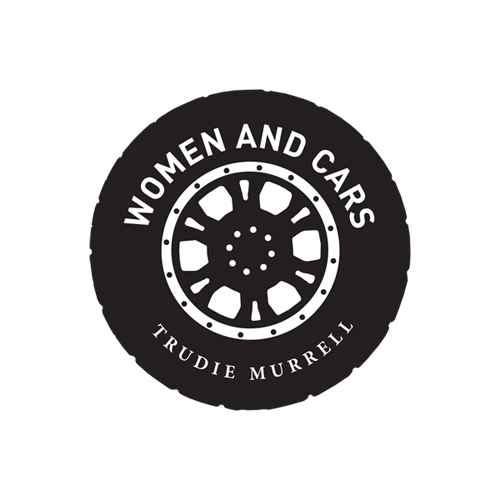 So let’s start with Trudie and the title poem from her debut micro-collection, Women and Cars. This poem kick starts the collection and its freewheeling energy resonates throughout the remainder of the poems. For me, it is one of those poems that once read/heard, is never forgotten. an abiding love for their cars. or at least a change of scene. and now you’ve got to burn them. and if you have a car you’re free. give the lady a wave. she’s barely pushing 100 km/h, in her head she’s flying. With 20+ poems on offer for this link, I don’t feel I am able to do them all justice in a single response, so instead of responding to each poem, I felt it would be best to first, share some of my own thoughts on gendai haiku and then share the 3 poems that elbowed their way to the final shortlist. First of all, here is another enlightening link with regards gendai haiku: http://gendaihaiku.com/. To quote from Shiki, ‘Haiku advances only when it departs from the traditional style’, and so it is that gendai haiku provides one way forward for the form, welcoming innovation and encouraging writers (as Martin Lucas so elegantly put it in his essay, Haiku as Poetic Spell) to embrace the ‘little awkwardnesses’ and to resist the pressures towards conformity, complacency and mere competence. As well as the wealth of information that is available at Gendai Haiku, I also recommend immersing yourself in journals such as Roadrunner and Presence. Both journals continue to publish groundbreaking work; work that challenges the traditional paradigm. And for me, reading has always been the way forward… to read and have an awareness of groundbreaking work is to be one step closer to writing it. What I loved most about the offerings for link #8, was the freedom of their spirit. I thank you all for your innovation and sense of playfulness… to me, both are vital to the art of haiku. While many of the poems here would add a richness to the Junicho – Rachael’s wildly stitched together words and Trish and Lee-Anne’s intense use of colour – there are three that continue to pull me deeper into their realm. The 3 poems, in no particular order are, Andrew’s ‘global autumn’, Dhyan’s ‘damn!’ and Cindy’s ‘remorse’. Each of these embraces the spirit of gendai and offers a unique way forward for the poem. They are playful, provocative and brimming with possibility. So which way did I leap? I couldn’t resist flying into the swirling genetics of Andrew’s ‘global autumn’. This means link #9 is now open! For link #9 We remain in the world of gendai haiku, so keep the freewheeling words coming… this time, we are looking for three lines. So many stepping stones, each one providing a solid platform for the poem to move forward. Before I make my decision, let me thank you all again for making this such a joy. Now, to choose that stone. Four particular poems have had a jostling match in my head, but for link #7, I have gone with Lee-Anne’s satirical take on the sign of the cross. This means we move into the gendai phase of the poem and the call is now open for link #8… 3 modernist lines that will take the poem in the direction of left field.